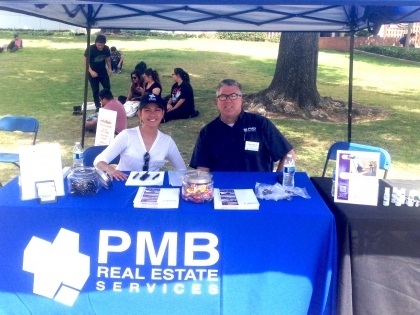 Danny Young, Director of Building Services, and Avegail Alvarez, Manager, Human Resources & Compensation, recruiting for Building Engineers and getting our company known to ambitious and motivated students at the Mt. San Antonio College (Mt. SAC) Career and Transfer Services 2015 Spring Career Fair. Mt. SAC is known for its great HVAC technician certification program.